You don't have to be a boxer to suffer a boxers fracture. However, it does generally involve hitting the hand on something that is stronger than your bones. 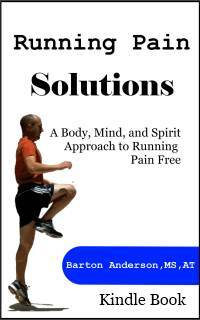 As the name suggests, this injury often comes from a punching mechanism. 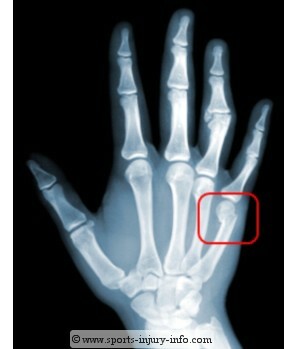 Seen often in boxers, fracture of the metacarpals occurs when the closed fist strikes an object. Force is transferred directly to the metacarpals, and if sufficient enough, they break. You don't have to be a boxer to have this injury. Hitting your hand on anything solid can cause the metacarpals to break. I have seen several of these in my career, and none of them were in boxers. Most occured from punching the wall, or the goal post. Not exactly sporting activities, but we all know how athletes can get when they are excited...or angry. A boxers fracture is a break in one or more of the metacarpals of the hand. Most commonly it is the third or fourth that are broken. So, counting from the thumb side over, it is the ring finger and pinkie finger side of the hand. It isn't specific to just one of the metacarpals, but because these are the smallest of the five, they are most commonly injured. Notice the break in the fifth metacarpal in the picture to the right. I have circled it in red. Pain, swelling, and deformity are the most common symptoms of a boxers fracture. The hand itself will swell up, often several times its normal size. Pain is located along the outside of the hand, towards the pinkie finger side. The back of the hand may be tender to touch, and you will probably not be able to grip or make a tight fist. When you do close your hand into a fist, your 1st knuckles will not line up correctly, with the injured bone dropping down due to the fracture. The deformity is espeicially noticible when compared to the uninjured side. X-rays are needed to diagnose the boxers fracture, and depending on how the bones are positioned, they may need to be set, or re-aligned to allow proper healing. Sometimes, again depending on the severity of the fracture, surgery to align the bones may be required. Once diagnosed, the hand is usually placed into a cast for 4-6 weeks to allow the bones to heal. A short forearm cast is usually enough to provide good immobilization. After getting the cast off, you may have motion loss at the wrist and fingers, and rehab may be needed to get this motion back. Most fractures heal well enough to go back to activity in 6 weeks. This is true for most boxer fractures. The bone will continue to remodel itself for several months up to a year, but will be strong enough for activity by this time. Boxers fractures occur when you strike a solid object with a closed fist. It involves the metacarpal bones, usually the third and fourth. If you think you may have broken your hand, see your physician for diagnosis and treatment. Most injuries like this will heal in 4-6 weeks.